TWO NEW SCENTS in the Pink Flame Personalized Collection! Mulberry Punch: A sweet and fruity mix of mulberry, apple, peach, cherry, and orange spiced with cinnamon. White Peach Silk Blossoms: Fill the air with an elegant and sophisticated bouquet of sweet peonies, lilies, floral sandalwood, musk, and fresh peach. Please shop now at JICman.com. LOOK, JIC GAVE AWAY ANOTHER CRUISE!!! Why do they keep doing this? 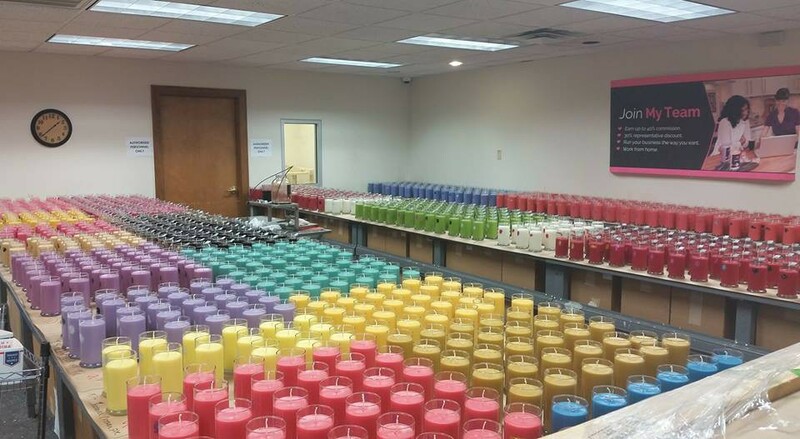 It’s because JIC is not your ordinary Candle and not your ordinary Candle Company!!! It’s because JIC is not your ordinary Candle and not your ordinary Candle Company!!! Congratulations to Angela Hooser winner of the Cruise for 2 in our Truth or Dare Grand Prize drawing! We also want to congratulate our 1,109 Instant Prize winners and the many winners of the Bonus Prizes including dinner for 2, tickets to local sporting events, gift cards from Nascar, Groupon and Gamestop, board games, movie passes, zoo passes, and laser tag passes! Look for those winning emails to go out the end of this week!! Congrats!! SAVE 25% WHILE SUPPLIES LAST! LIGHTS OUT SALE!! Heading to Lights Out tonight 8/15/2016 at 7:00 pm ET! Heading to Lights Out tonight 8/15/2016 at 7:00 pm ET! Some may come back and some may not so get your hands on them while you can! Use code: (lightsout) at check out so to get 25% discount as we say bye-bye to these great scents! Another Brand New Product, JIC Cafe Naturals – Weight Loss Coffee! Rich, bold, all-natural coffee starts with Cafe Naturals. Our 100% Arabica Colombian Coffee is made with patented African Mango seed extract that is proven to boost metabolism, promote healthy cardiovascular function, promote healthy weight loss, and has a bold, hearty flavor you will love to wake up to. Change your coffee habits and enjoy instant coffee like never before. Brand New JIC Naturals Wrinkle Eraser. Goodbye wrinkles! Instantly take years off your skin’s appearance with JIC Naturals’ Wrinkle Eraser. Goodbye wrinkles! Instantly take years off your skin’s appearance with JIC Naturals’ Wrinkle Eraser. Made with natural and plant-based ingredients, our wrinkle eraser will reduce the appearance of pores, revive your skin for a more youthful look, diminish the signs of aging, and help reduce dark circles and puffiness under the eyes minutes after applying. Two More Scent Choices In Our Pink Flame Collection! Our Pink Flame candles are all about you. With a new personalized selection process, you get to choose between high quality jewelry pieces, as well as a luxury, fragrant, double-wicked soy candle. Get ready to ignite your senses! Coming Very Soon! NEW Face and Body Scrubs in Vanilla Wishes, Lemongrass, or Lavender. NEW Face and Body Scrubs in Vanilla Wishes, Lemongrass, or Lavender. Wow, 3 New Wonderful Scents Are Coming To JIC Naturals Body Butters And All Are Certified Toxic-Free! JICman.comWe Will Keep You Updated As Soon As They Arrive. Wow, 3 New Wonderful Scents Are Coming To JIC Naturals Body Butters And All Are Certified Toxic-Free! We Will Keep You Updated As Soon As They Arrive. Earn Double Rewards Points Towards Free Jewelry In Your Rewards Store With These Select Scents. The Name Is Just The Name But The Scent Is The Fame! Inspired By Ralph Lauren’s Polo And Gone Until Next Year, 4TH Of July Candle And Tart. The Name Is Just The Name But The Scent Is The Fame. ! Inspired By Ralph Lauren’s Polo And Gone Until Next Year, 4TH Of July Candle And Tart. Starting tonight 8/4/2016 at 7:00 PM ET, our 4th of July Layered Candles and Tarts will move to Lights Out! Be sure to use code: LightsOut for their 25% savings!